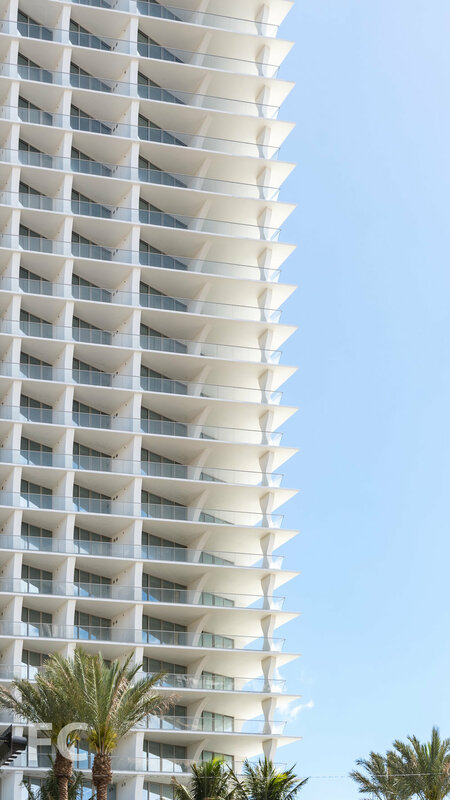 Construction has finished at Jade Signature, Fortune International Group's 57-story, 192-unit residential tower in the Sunny Isle Beach neighborhood of Miami. Designed by Herzog & de Meuron, the tower features a parallelogram footprint that minimizes the skyscraper's shadow footprint on the beach. The orientation also maximizes the sun exposure for the ocean-facing units. The concrete structure provides balconies along the east and west facades that increase floor area in most units by approximately 30 percent. 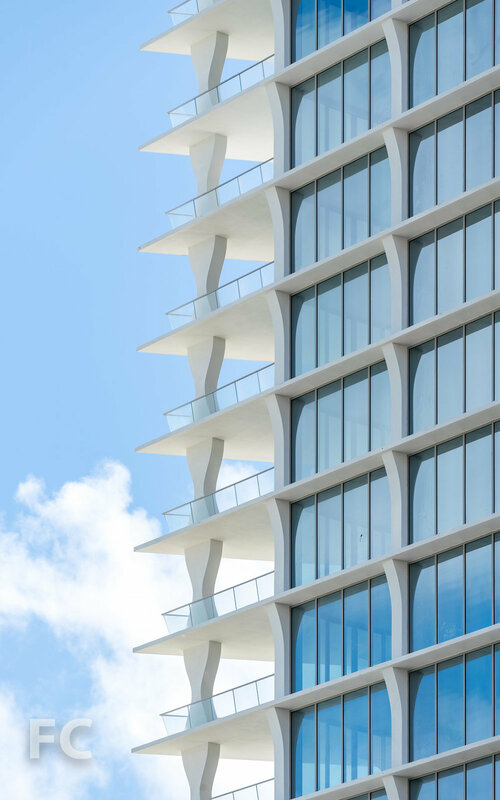 Corner balconies feature the tower's signature sculptural concrete columns, with glass railings that tilt outward to minimize reflection. Close-up of the tower balconies. Northeast corner from Collins Avenue. West facade from Collins Avenue. Architect: Herzog & de Meuron; Interiors: PYR; Landscape Design: Raymond Jungles; Developer: Fortune International Group; Program: Residential; Location: Sunny Isle, Miami, Florida; Completion: 2018.